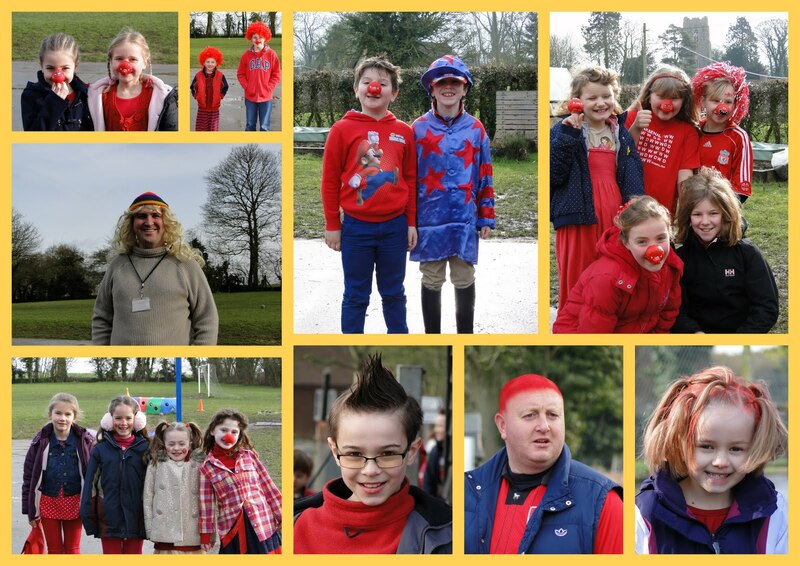 Today saw the children (and staff) celebrate the 25th anniversary of Red Nose Day in style. There were a variety of interesting costumes on show which included Mr Mansell wearing a tie for the first time in school history, inside out clothes, back to front clothes, wacky hair, coloured hair (which gave Mr Pearce a headache), lots of red and some 'undergarments' on show! 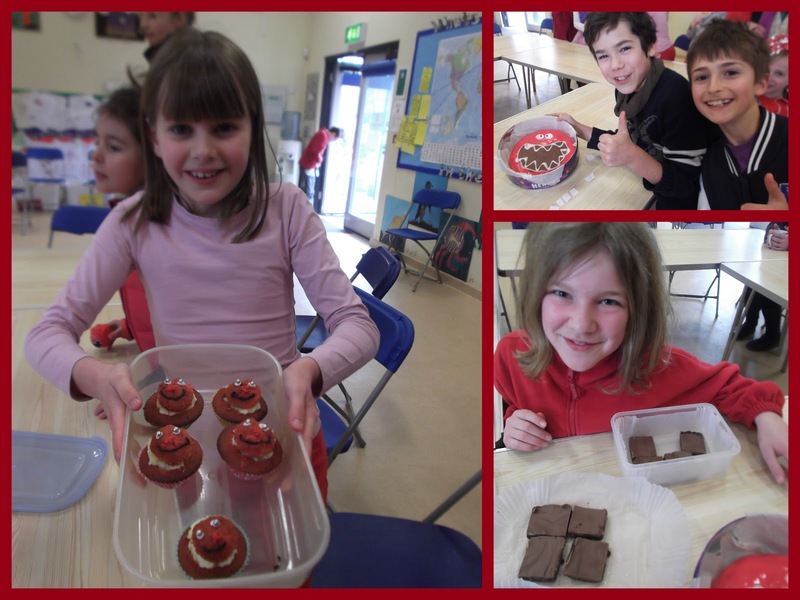 At break time Mr Mansell judged the Blue Class 'Bake off' but was undecided after tasting all entries three times. 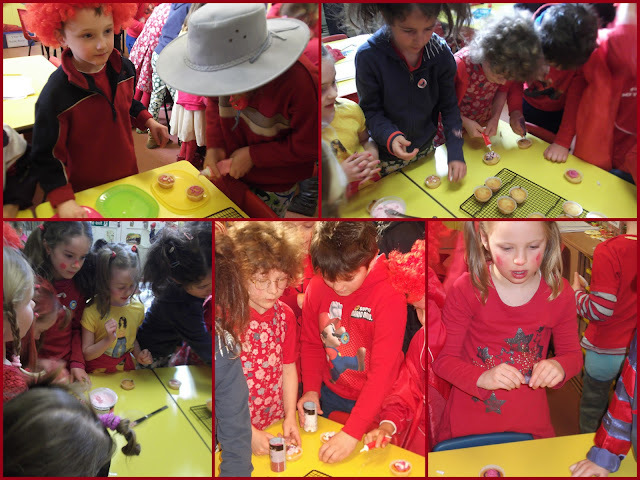 Many children decorated cakes for a donation whilst individuals also raised money through their own sponsored efforts. 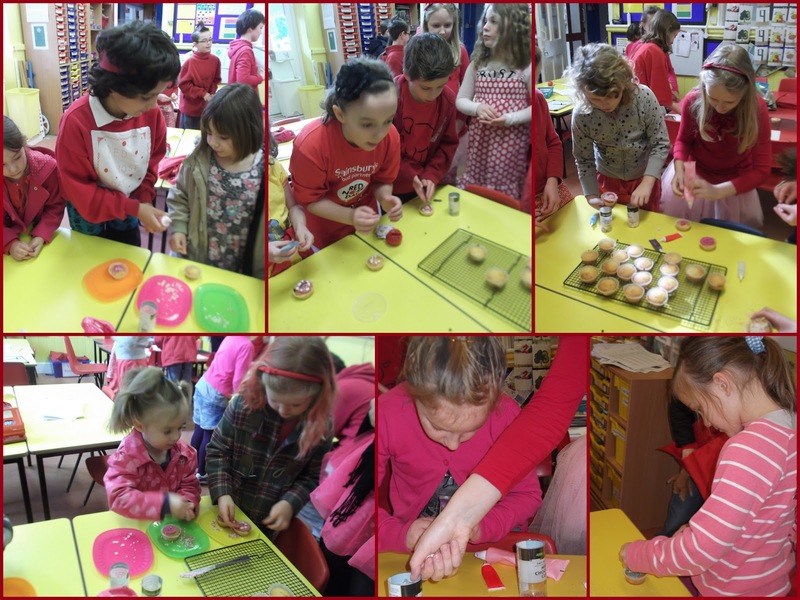 It all added a nice splash of colour and some wonderful smiles on a rather gloomy day. 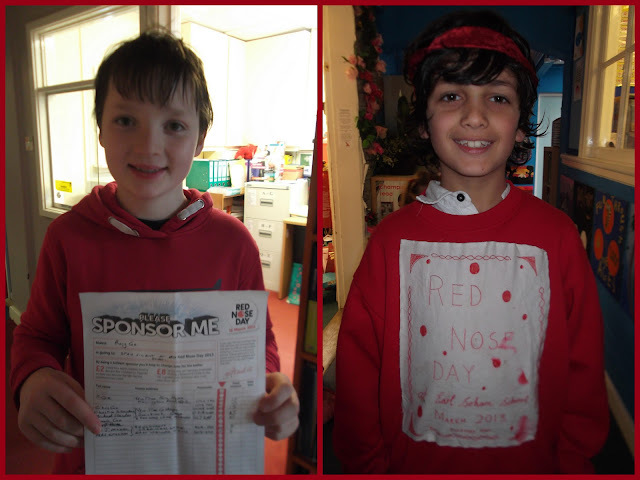 Hopefully the money raised will go to spread those smiles further afield.